Malware can hit a PC without a good computer malware cleaner. But before cleaning the computer for viruses using a computer malware cleaner. 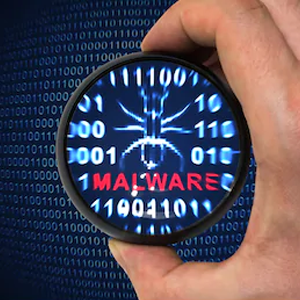 It is important to know how malware is commonly distributed to avoid malware infections again. Malware is any stealthy software distributed via social engineering techniques. Social engineering conceals malware behind deceptive tools. It uses manipulation to deceive its victims. So what are some examples of social engineering? Spear phishing is a fake email that contains infected attachments. It disguises as an email from a friend or a relative. It also has an engaging title to trick the user into opening it. Once the user opens the email, malware installs behind the background. Spear Phishing is used to target internal users who have access to a business network. It is also the leading cause of malware infections worldwide. But through a computer malware cleaner, spear phishing will be detected. Drive-by-download is when a malicious application secretly installs on the computer. An infected website is the common cause of a drive-by-download. Hackers infect even legitimate websites with malware. When the user visits the website, malware installs on the PC without the user’s knowledge. A drive-by-download is difficult to detect. A computer malware cleaner is necessary to prevent drive-by-downloads attacks. A phishing URL is an infected link that redirects the user to a website controlled by a hacker. The malicious website generates a fake login. The intention is to steal personal information. Once the user fills out the information, the login attempt fails. The information collected is transferred through a remote server. Also, a phishing URL allows any malicious websites to install malware behind the background. With a computer malware cleaner installed on the computer, this will be detected. Fake software is remains of the leading causes of malware infections. Do you know that they find their way to legitimate websites? In January 2019, Trend Micro discovered that some Google Play apps were infected with spyware called MOBSTSPY. The infected applications include Flappy Birr Dog, HZPermis Pro Arabe, FlashLight, Win7Launcher, Flappy Bird, and Win7imulator. The applications have already been removed from the Google Play Store. However, the said apps have already had over 100,000 downloads from different countries. A malware infected computer be restored to its clean state manually and using a computer malware cleaner. 1. Press Windows+R on the keyboard. 2. Type MSCONFIG in the Run box. 3. In the System Configuration box, click on the Boot tab. 6. Re-open the System Configuration box. 10. Click Apply then Ok.
11. Exit without restarting the computer. Malware hides in the TEMP folder and pretends as a genuine exe file. Clearing the temporary files will remove malware immediately. The temporary files are temporary data the computer stores to load programs quickly. Clearing them won’t cause any issue with the computer. 1. Type %temp% in the Windows search bar. 2. Delete the temporary files. That deletes malware hiding in the TEMP folder. A virus removal tool or a computer malware cleaner scans the computer for the remaining threats. With the help of a virus removal tool, any malware hiding in the registry will be detected. For a personal computer, download Comodo Anti Malware. It is a free computer malware cleaner that deep scans the computer to remove bad entries in the registry. Follow the prompts on screen to finish the installation. Once the computer malware cleaner is installed, it will scan the computer and display the threat detected. Click remove and exit. Then restart the computer in Normal Mode. For a business network, download Comodo Advanced Endpoint Protection. It’s advanced security software that protects the network and endpoints. Auto-Containment - the auto-sandboxing feature built upon Default-Deny. It denies the access of any unknown file to the hard drive files. It protects the network and endpoints from spear phishing and phishing URLs. HIPS - is a fileless malware defense that protects the computer memory and registry. It monitors the core of the operating system to prevent fileless malware attacks. It also protects the keyboard against Keylogger. Firewall - is a defense against inbound and outbound threats. It filters network traffic to detect drive-by-downloads. Valkyrie - is a cloud-based verdict platform. It contains the list of good and bad files from different publishers. Thus, it provides a verdict in just 40 seconds. VirusScope - is an advanced machine learning technology that recognizes behavioral patterns. It is trained with various good and bad software to identify malicious behaviors. Malware infections are preventable, but they may cause irreversible damage to your network and endpoints. Download Comodo Advanced Endpoint today to receive complete malware protection.